The town seems far away from the sea. 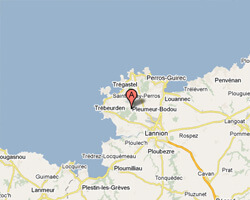 Yet Pleumeur-Bodou offers a very attractive coastline with many beaches and islands. The most famous is called L’Ile Grande. 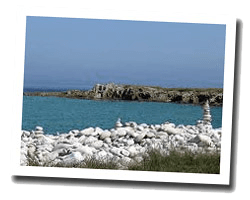 Landrellec peninsula offers beautiful views of the coastline and a beach with white sand. To change from the beach, you can visit the interesting Telecom museum. In Pleumeur-Bodou enjoy a seaview holiday rental. 2 Bedroom(s), 1 double bed(s). short stays possibility. Final cleaning : 45 €.